Some of the most extreme outbursts observed in the universe are the mysterious jets of energy and matter beaming from the center of galaxies at nearly the speed of light. 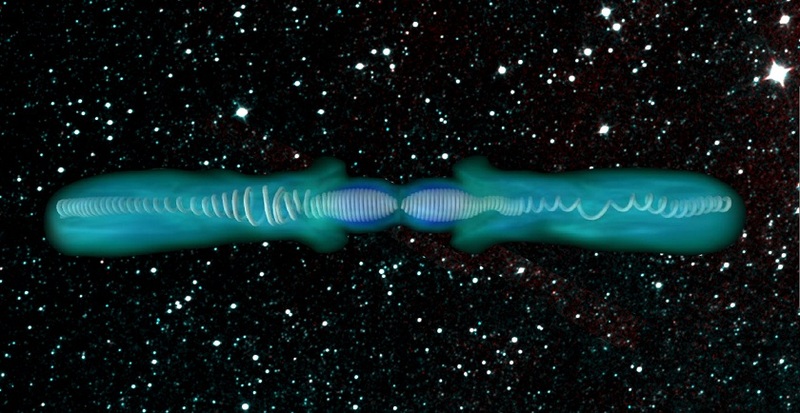 These narrow jets, which typically form in opposing pairs are believed to be associated with supermassive black holes and other exotic objects, though the mechanisms that drive and dissipate them are not well understood. Now, a small team of researchers has developed theories supported by 3-D simulations to explain what’s at work.